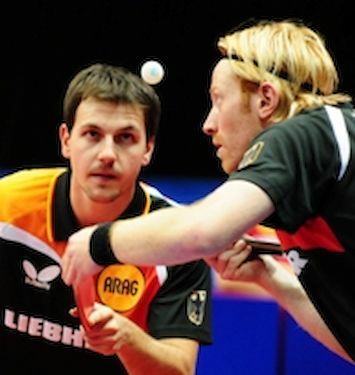 19/04/2011 – The greatest challenge to Asian supremacy at the World Championships in Rotterdam will came from Germany, to be precise from Timo BOLL. German star started this year on position no. one at the ITTF list, but month before the Championships Timo is second. No meter his position, he is still Europe’s no one and his appetites for the trophy at the World’s individual championships are yet to be satisfied. Men`s singles: Timo BOLL (Club: Borussia Dusseldorf, Age: 30 years), Dimitrij OVTCHAROV (Fakel Gazproma Orenburg/Russia, 22), Patrick BAUM (Borussia Dusseldorf, 23), Bastian STEGER (1. FC Saarbr? ?n, 30), Christian SUSS (Borussia D? ?ldorf, 25), Zoltan FEJER-KONNERTH (AS Pontoise-Cergy TT, France, 32), hasere ilaclamaSeoSeo Firmalaribocek ilaclama fiyatlari fare ilaclama tanker suistanbul ilaclamaicme suyuRuwen FILUS (TTF LIEBHERR Ochsenhausen, 23).